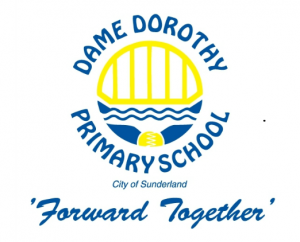 Dame Dorothy is a young school which has very quickly developed into the heart of the community. The school takes its name from Dame Dorothy Street on which it borders, which in turn took its name from Dame Dorothy Williamson. 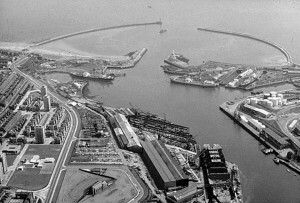 The former lands of St Peter’s monastery were secured in 1642 by Colonel George Fenwick, who bequeathed the estate to his youngest daughter, Dorothea. She married the second Baronet Sir Thomas Williamson of East Markham in Nottinghamshire to become Dame Dorothy Williamson. Upon her death in 1699, she bequeathed a yearly sum to charities for the poor of the town, which is still distributed every Maundy Thursday to elderly people in the city. A memorial plaque celebrating the burial place of Dame Dorothy can be found in St Peter’s church with a description of her charitable works. On Wednesday, 4th November 1971 (an anniversary of Dame Dorothy’s birthday), the Headteacher marked the occasion by giving all the children a lollipop. 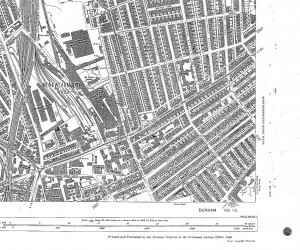 Before the school was built, ordnance maps showed that the site was a housing estate, built to house workers for the heavily worked docks from lively shipbuilding and coal mining industries. 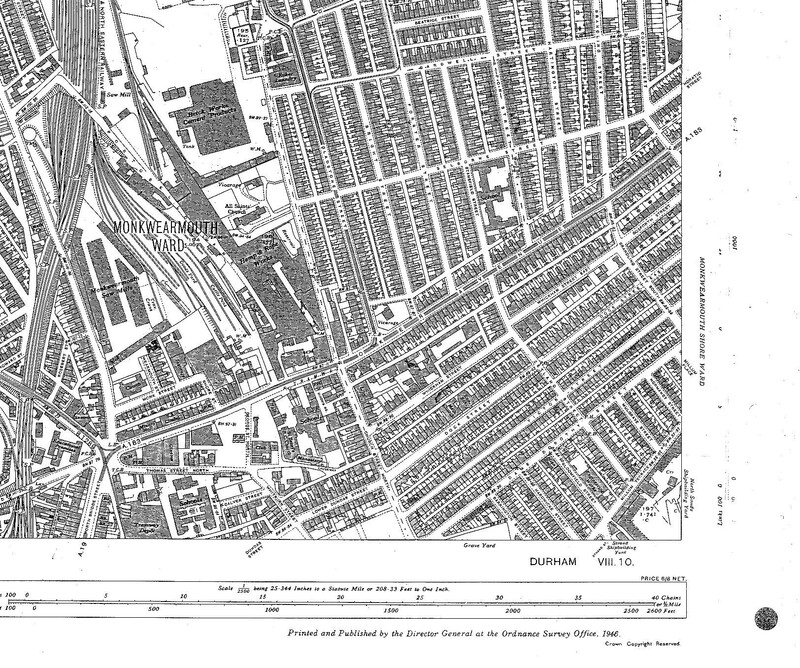 The Local Council decided that there was a need to replace Thomas Street Junior (mixed) School and Dame Dorothy Primary School was born. The School opened at a cost of £100,000 on Tuesday, 3rd September 1968 with 269 children who were presented to Mr Bridge, the then Director of Education in their Royal Blue Uniforms. The children changed their shoes on arrival to slippers in order not to damage the new flooring. The school was officially opened on Tuesday, 4th March 1969 by the Mayor, Councillor Mrs Mary Miller with presentations, speeches, hymns, prayers and ending with the National Anthem. 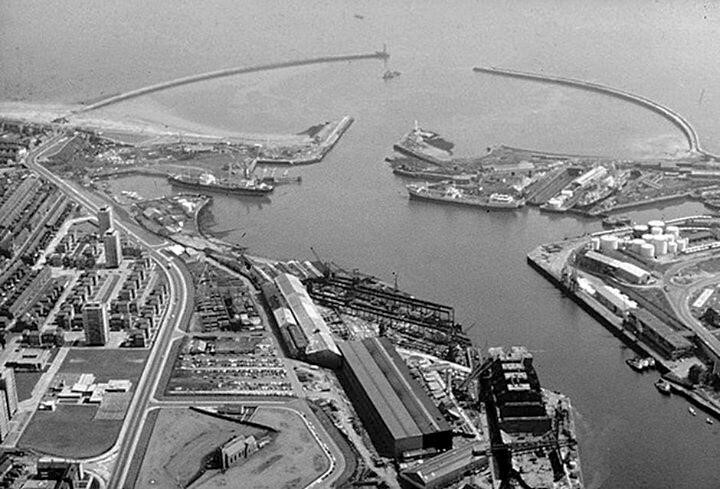 Plans to revamp Sunderland’s school buildings were chalked up in 1971.Proposals were submitted to the Department of Education for new schools along with approval from local councillors for a large extension for Dame Dorothy School, to pick up displaced children from the closure of Stansfield Street Infants School, which was completed in 1974 securing its place in the community. Along with prosperity, the school has faced tough times. None more so than the story of Kieran Anderson, the little boy who never grew up. Kieran died at his home in March 2007 surrounded by his family after a three-year battle with terminal cancer. Classmates of Kieran each built a snowman in the snow to mark their grief after hearing about his death. 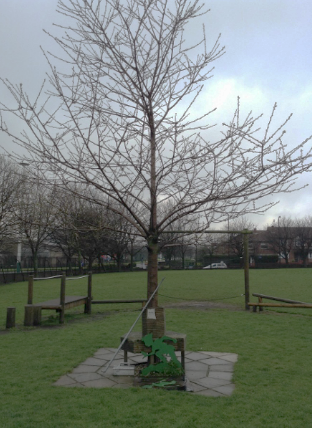 As a gesture to Kieran’s favourite film, Peter Pan, the school erected a storybook memorial to a little boy who will never grow up in the grounds of the school. The thoughts of the school continually go out to Kieran’s family. The school grew further when a Childrens Centre was officially opened on June 3rd 2008, at a cost of £375,000. 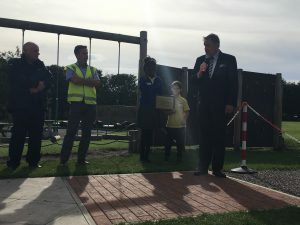 The Mayor of Sunderland at the time, Councillor Mrs Mary Smith, marked the launch of the Children’s Centre to boost services such as daycare, health and parenting support, with the planting of a 6ft fir tree in the grounds. The Centre was named St. Peters in recognition of St. Peters Church, located on the opposite side of Dame Dorothy Street. 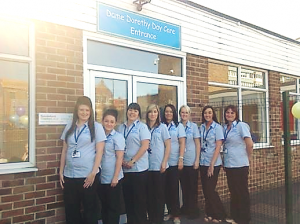 In 2013, Councillor Curran re-launched the newly renamed Dame Dorothy Day Care which enabled the school to develop and offer increased provision for 2 year olds to support the community. Looking ahead, the school aims higher than ever, having embedded energy efficient lighting, solar panels and Wi-Fi throughout the building; the school looks forward to its 50-year anniversary celebrations in 2018/19 and hopes that you all join us in toasting another 50 exciting and prosperous years. Our 2015 school sports council elections were made extra special by receiving a visit from the Mayor and Mayoress of Sunderland. 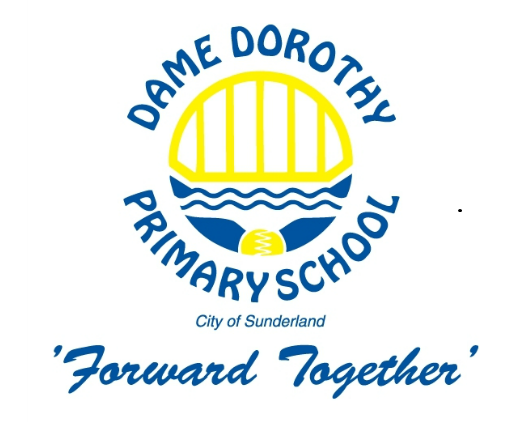 We were very fortunate that for this year the Mayor, a councillor for the St Peter’s ward, was also a long standing governor and supporter of Dame Dorothy Primary school. 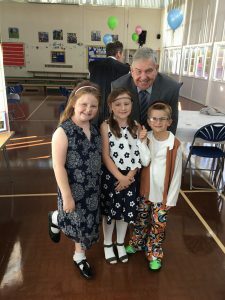 The Mayor (Barry Curran) spoke with our children all about the process of democracy, rule of law and the Magna Carta to explain how special and important it is that we are able to vote and choose in a free society. All of this helps link into the British Values we are trying to make our children aware of. The mayor and his wife stayed to oversee the voting process and remained in school to have lunch with our new councillors. Another first in 2015 was our first residential (outside of Derwent Hill). This was made extra special because our Year 5 children raised the funds themselves through the Virgin ‘Grow a Fiver’ scheme. The summer of 2015 saw a variety of activities organised by the children to raise funds to allow them to visit Harry Potter World and to also see the sights London. The target of raising £500 was quickly surpassed and the children went on to raise over £2000. An amazing achievement. 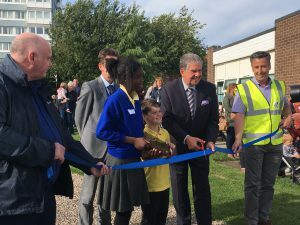 The official opening of our new ‘Path to Well-Being’ by Councillor and school governor Barry Curran in September 2016 marks a long term aim to improve the health and fitness of our children. 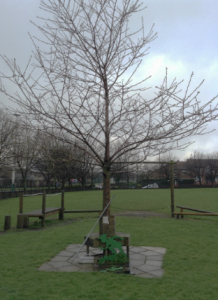 The path has been installed through funding at Tesco secured by a successful bid In 2016 As always, Nigel Toase from Tesco was instrumental in helping us to achieve this. Over the summer months Adrian Barton from BCE Northern has overseen the installation of the path and his willingness to go above and beyond what was asked of him is greatly appreciated. The purpose of the path is to help establish good lifestyle habits for the children at an early age by taking daily exercise that raises the heart rate. 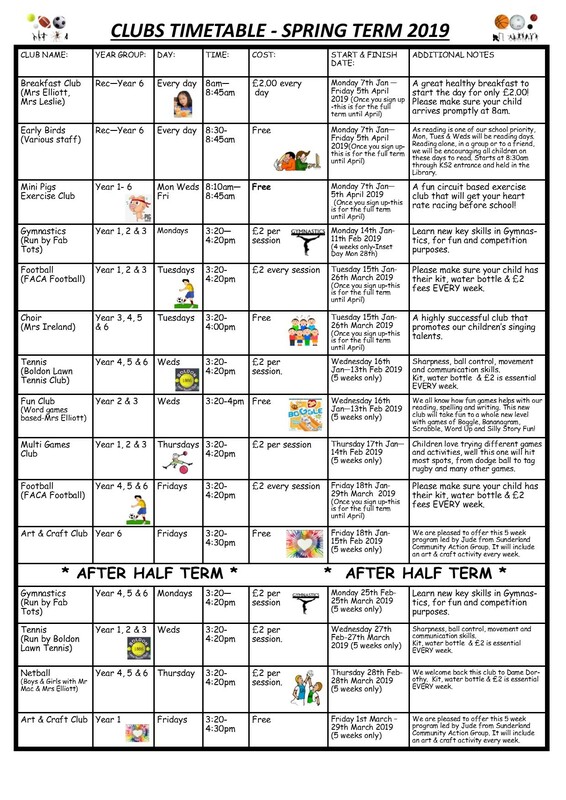 Classes from year 1 to year 6 will be allowed a break during lesson time once a day to run a circuit of the path. Studies have found that this can help increase children’s concentration as well as improve fitness. In addition with the introduction of a weekly running club organised by staff, we believe that we can promote a positive, healthy outlook for our children. It doesn’t quite end there either. We are working towards creating conversation pieces at points around the perimeter of the path that reflect and celebrate the history and culture of the city and make the children aware and proud of their heritage. The personalised bricks are a wonderful way of marking and remembering the children, parents and staff who have been a part of our school community over the years gone by and the years ahead. Dame Dorothy Primary School celebrated their 50th anniversary this September and to mark this special occasion the school decided to celebrate in a variety of ways. 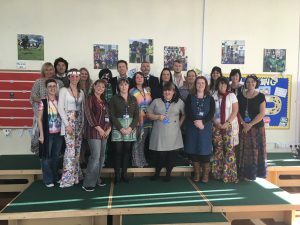 The children and staff entered in the spirit of things by dressing up in the fashion from this decade where we saw everything from flower power, psychedelia to hippie outfit! Head teacher Iain Williamson dressed in the gown and headwear of that era! 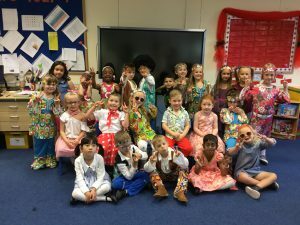 In the morning, each class were transported back into the 60’s to take part in a morning full of activities that revisited the culture, games and fashions of the times. The children from Year 1 to Year 6 spent the morning visiting each other’s classrooms and looking at 1960’s examples of fashion, football strips, Lego, hand-clapping games and different TV programmes. It was a fantastic fun filled morning. 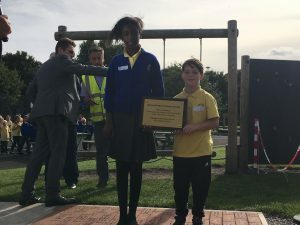 The school also welcomed Mayor Lynda Scanlan who shared some kind words of reflection about the achievements of the school whilst school governor Councillor Barry Curran closed the proceedings of the day by speaking of his pride of the school. 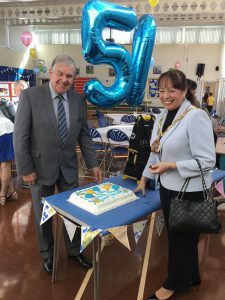 ‘’As a ward councillor and school governor at Dame Dorothy it was a delight to be part of the celebrations,” Councillor Curran expressed. “It was wonderful to hear the school choir sing and meet so many former teachers. The school has come a long way from when it was opened in 1968 and has seen so many changes to the area and its population. But it has adapted to those changes and what we have today is a school which embraces the diversity of this wonderful community and that is great credit to the Head Teacher and his staff a lasting memory of this anniversary will see each child receive a special engraved keyring funded by the school’s PTA – Friends of Dame Dorothy. A fabulous day to mark this school’s special anniversary.